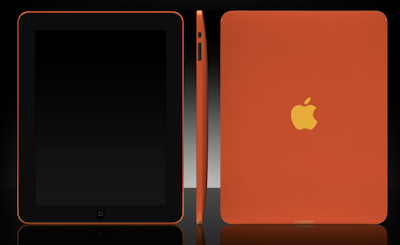 In turn, Orange has timidly down the price of the iPad. It offers the tablet from Apple in its 16GB version starting at 249 €, 30 € less than previously. This price includes a reimbursement coupon of 100 €. The 32 GB is sold for its share from 329 € and 64 GB from 389 €. By comparison, Vodafone has dropped its prices yesterday moved the 32 GB price of 16 GB, or € 279.90 and the 32GB from € 379.90. As we told you yesterday, if an iPad first generation seems you enough for your needs, rather go for a ride on the refurb. On the other hand, you are very likely to write about the release date of the iPad 2. Unofficially, the launch of the tablet from Apple is still scheduled for next Friday starting at 17 hours. These are certainly the latest information communicated received several companies responsible for disposing. Still, it was exactly like last year before Apple decides to delay the marketing of the iPad in Europe of a month. The decision was reached directly from the United States without anyone (or almost) never have known this side of the Atlantic before. If Apple chooses to postpone the sale of its shelf internationally, stakeholders will - as always - informed of this decision at the last moment. Anyway, we should know the end of the story early next week. Apple, which never misses an opportunity to brag after marketing a new product, is surprisingly quiet since the beginning of the week, just stating that the application for the iPad 2 is "incredible".